Andrew is a staff writer at the “The Hudsucker”. He is a 30 year old lawyer living in Ottawa. Besides legal jargon, his brain capacity is taken up by reality show trivia, video game walk-throughs and room escape strategies. Andrew is also happily in a long-term, long-distance relationship. Follow him on Twitter as @sublymonal. Panic! at the Disco has undergone some major changes since the Vegas-based group’s formation in 2004, but with Brendon Urie as the only remaining original member at the helm, the band is in capable hands. The band’s latest effort, entitled Death of a Bachelor released January 15th and may signify yet another change in the band’s sound—following a path that the group has always taken: to avoid sounding like anything else out there. When the band released its first album, A Fever You Can’t Sweat Out in 2005, it featured founding members Ryan Ross on guitars and backup vocals, Spencer Smith on drums, Brent Wilson on bass, and Brendon Urie on lead vocals, rhythm guitar and keys. At the time, the band’s style was a mix of electro-pop-punk and vaudeville throwback infused with religious allegories and Chuck Palaniuk quotes—not really what one would think about as a recipe for success. But the band’s unique sound earned them a platinum RIAA certification for the album. The band soon opted for a style more reminiscent—whether deliberate or coincidental—of the Beatles’ “organic and mellow sound,” as described by MTV. In the process, they swapped Brent Wilson for Jon Walker and dropped the exclamation mark from their name on the way to releasing Pretty. Odd. in 2008. The album was met with mixed reviews and the band met with troubles, splitting in 2009—leaving drummer Spencer Smith and Brendon Urie with only the name to go on. 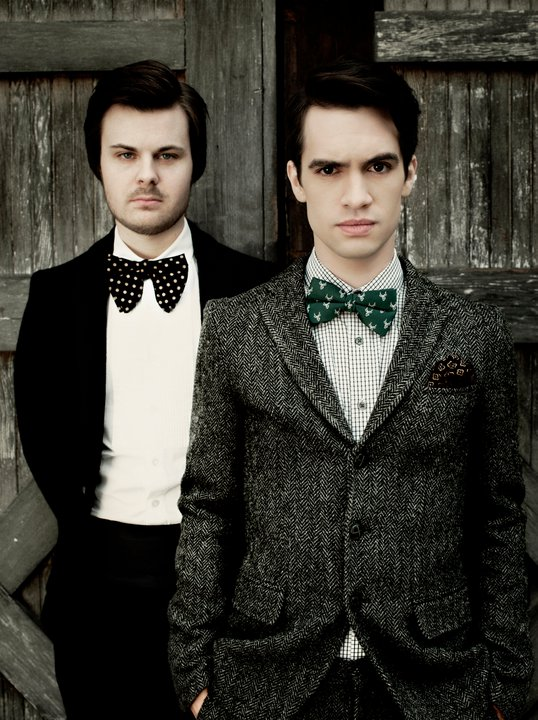 The pair released two albums together: Vices & Virtues in 2009 with the help of John Feldmann and Butch Walker; and Too Weird to Live, Too Rare to Die! in 2013. The band’s members, minus Smith and Urie, continued to rotate during this time, but the split from Ross and Walker signified another change in the band’s style. Smith and Urie adopted a more mainstream pop-rock sound, embracing the band’s comparisons to mentors and ex-Fueled by Ramen label mates Fall Out Boy, without becoming copycats. However, there was a sense that the band was being driven by Urie’s efforts alone and in April of 2015, drummer Spencer Smith announced that he was leaving the band to focus on overcoming his addiction issues. Nevertheless, Urie forged onward, releasing the first single from Death of a Bachelor entitled “Hallelujah” that same month. The track showed a bit more edginess than Vices & Virtues and Too Weird to Live…, but without more to go by, it was hard to know if this was the direction the band was ultimately heading in. Leading up to this month’s album release, Urie gave fans more to go by. In September, the triumphant second single, “Victorious,” broke and seemed to echo the harder overtones in “Hallelujah.” The band’s tendency for traditional straight-forward pop music seemed to be drifting back towards its alt-punk roots, but with a bit more swagger to it. But, as if to avoid being boxed in, Urie chose to release three more singles: “Emperor’s New Clothes” in October, “LA Devotee” in November, and “Don’t Threaten Me With A Good Time” in December. Meanwhile, a low quality version of the album’s title track “Death of a Bachelor” circled the internet. The songs seemed to be all over the map with some (“Emperor…” and “Don’t Threaten Me…”) sticking to the previous alt-rock sound and others (“LA Devotee” and “Death of a Bachelor”) going back to straightforward pop or, in the case of “Death…,” a new age Big Band sound reminiscent of Frank Sinatra. 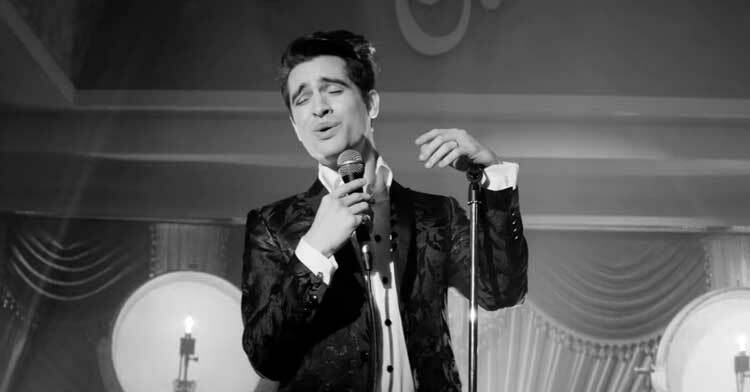 As if in response to the comparisons, Urie released a video for “Death of a Bachelor” that wouldn’t have been out-of-place in that era. Needless to say, fans of the band were eager to see what direction the band would take when the album was finally released. Upon first listen, it seems like Urie was smart. The tracks he left unreleased are different, but not dramatically so, than those he did release. Additionally, each of them is reminiscent of the sound Panic! has established on its previous albums. “Crazy=Genius” has a bit of a throwback feel, not unlike the album’s title track or the band’s first album, A Fever You Can’t Sweat Out. Golden Days glory notes wouldn’t be out-of-place as a track on Pretty. Odd. and “The Good, the Bad, and the Dirty” has a Vices & Virtue punch to it. The album’s final track, “Impossible Year” also has that Sinatra vibe to it, but seems to underscore the nostalgia that pervades the album and lends credence to the theory that this album signifies a rebirth for what it means to be Panic! at the Disco. The question is whether this was deliberate on Urie’s part, given his tendency for the theatrical, or if it happened in the same organic way that Pretty. Odd. developed. Either way, it seems Urie is ahead of the curve with his penchant to mix an edgier pop-rock swagger with the swagger of the old school big band days. But this ingenuity is not unusual for Panic! (or Panic, if you prefer) and given that the album has snatched the #1 spot on iTunes from Adele’s monstrous 25, it’s safe to say that the fans are responding positively to Brendon’s ability to push the boundaries of what’s catchy, current, and cool. What do you think of the album and Panic’s new sound? And what are your favorite tracks? Let me know in the comments below!